I hit those Thanksgiving weekend sales pretty hard, but even with all those great deals, the gift I'm most excited about giving is recycled from last year and mostly homemade. I bought these Yes Cards from Caravan Shoppe last year for $4 and they ended up being one of my kids' favorite gifts. If you are gifting to more than one kiddo, I recommend adding initials to the back of the card. The cards were such a hit last year, we had a yes card thief in the house! 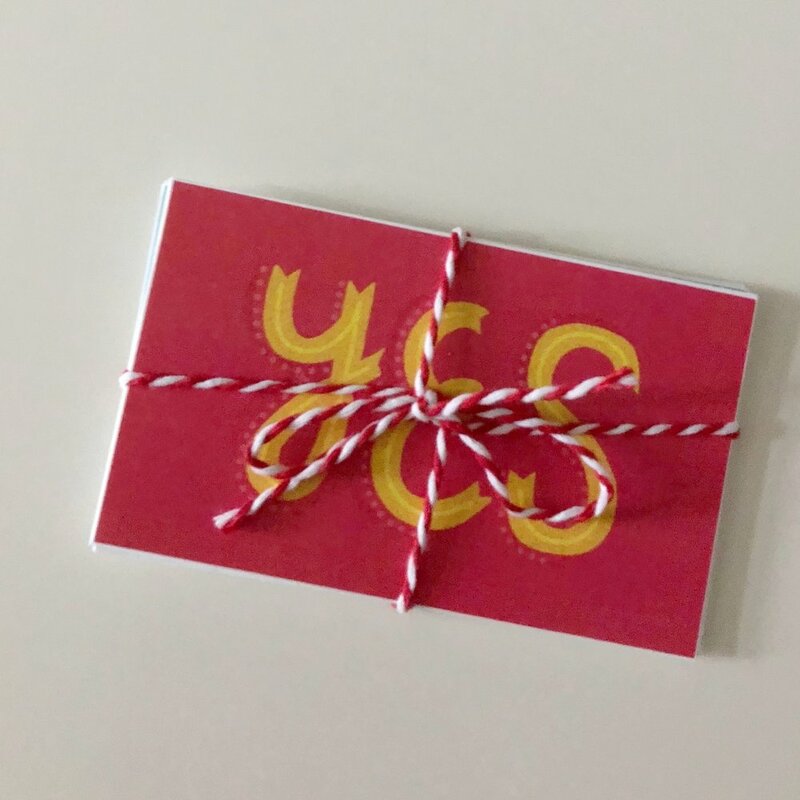 I hope these Yes Cards bring as much joy to your home Christmas morning as they did to ours!